Clean cut raw grooves for the dance-floor. 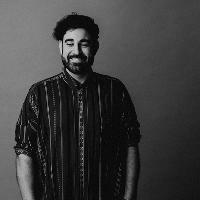 Rising British talent Ramin Rezaie is known all over Europe and further afield for his energetic House / Tech House / Techno. With a great performance background he&apos;s played at some of the world&apos;s most reputable clubs including Fabric London, Studio 338, Privilege Ibiza, EGG LDN. Do you promote/manage Ramin Rezaie? Login to our free Promotion Centre to update these details.